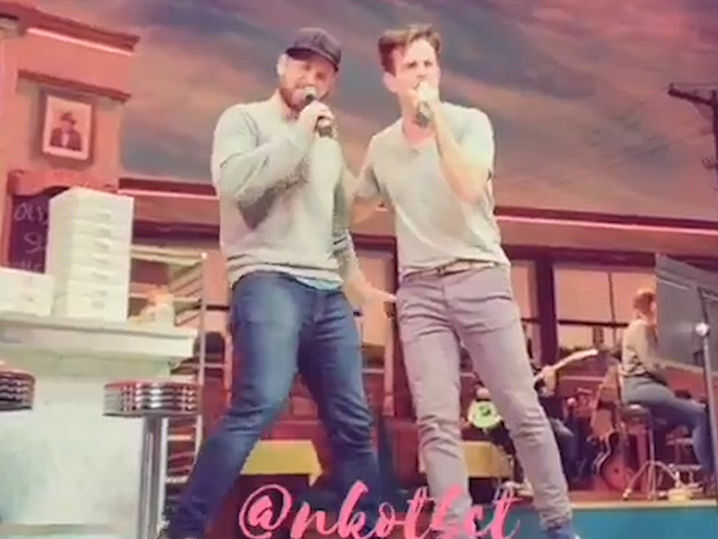 Joey McIntyre from New Kids on the Block still has the right stuff, because he started singing one of his band’s classic hits after performing on Broadway … and the video is amazing! Check out the clip … Joey absolutely kills it and his fans go crazy! Joey is back on Broadway for a limited engagement through April 7 … but it’s clear he’s not shying away from his NKOTB roots. Sounds like Joey really is having a blast. And, we gotta say … we hope it lasts!